This set of 2 steel lifting hooks protect both the wrist and palm when weight lifting. They can be used by both men and women to hold the weights securely. 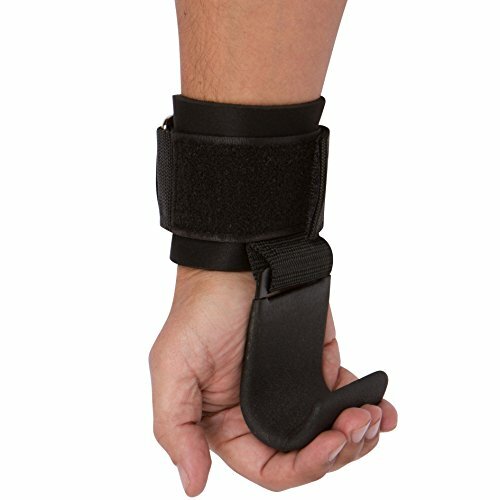 The padded neoprene wrist strap is comfortable and fully adjustable at 15" in length, it will fit most any size wrist. The textured coating on the hooks means there is no slipping of the weights. By Trademark Innovations.